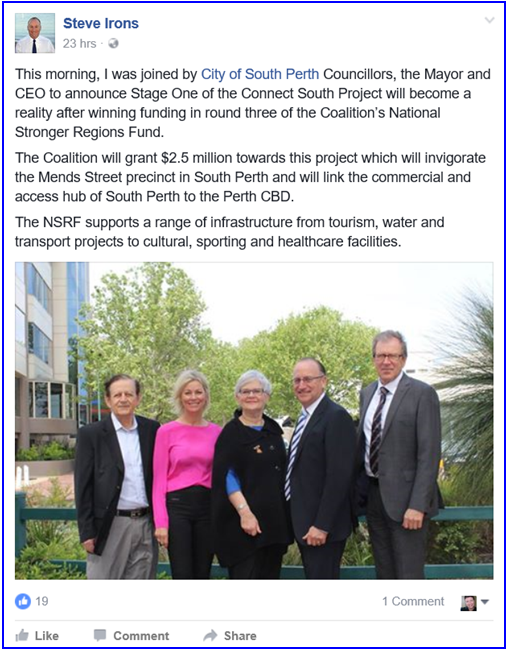 Just out: last of the National Stronger Regions Fund money for councils just announced. City of South Perth the big and only WA metro winner! Q: The Mayor queried whether the vision identified in the [Canning City Centre Plan] will be realised over the next ten years. It may even screw up the ambitions of [appointed, if not apparent] Councillor Jesse Jacobs, who just wants the make-up application to begin, so it looks good as he goes after MP for Cannington Bill Johnston’s seat in February! And all of this as our still very new, very inexperienced Council just agreed to take responsibility for staff to push ahead with the Canning City Centre plan, despite the WA Planning Commission being miles away from approving it. What plan, people? There’s no money! 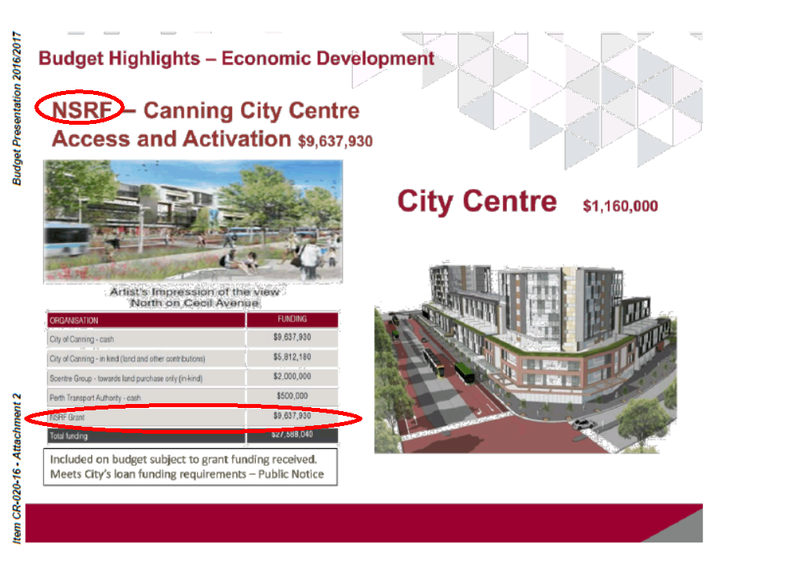 Oh, and can the City of Canning and its Council PLEASE check their bottom lines more than they do? Our Minutes and plans are becoming littered with references to funding based either on a nudge or a wink from the Libs that seem to swamp Canning now, or on established sources that can’t necessarily be counted on if an election is due! Our local newspaper is better informed!